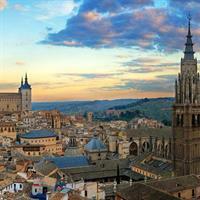 Once the capital of the Spanish Empire, Toledo is one of the Spanish cities with the greatest wealth of monuments. Known as the "city of the three cultures”, because Christians, Arabs and Jews lived together there for centuries. Behind its walls Toledo preserves an artistic and cultural legacy in the form of horseshoe-arched mosques, Sephardic synagogues and one of Spain`s finest Gothic cathedrals packed into its dense historical core with such a great diversity of artistic styles, that the old quarter is a real open-air museum, which has led to it being declared a World Heritage Site. 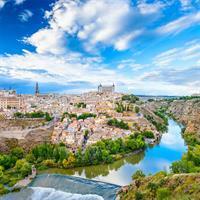 The ancient city of Toledo lies just south of Madrid. 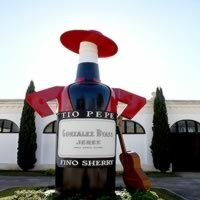 The town center sits perched on a hill above the Tagus River, looming over the surrounding countryside. 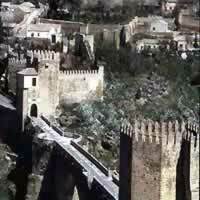 Art enthusiasts should not miss out on Toledo`s incredible collection of works by El Greco. El Greco lived and created several of his masterpieces in Toledo from 1572 to 1614. 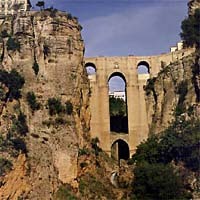 Go to the Church of Santo Tomé to see his "Burial of the Count of Orgaz." 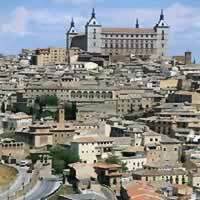 In Toledo`s cathedral, you will get to see El Greco`s "Twelve Apostles and Spoliation of Christ." 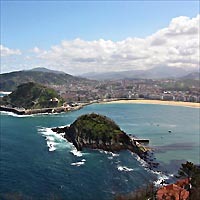 Barcelona, Girona, Cordoba, Toledo, and Madrid by rail and rent a car. 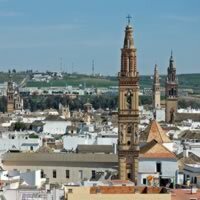 Madrid, Cordoba, Seville, Granada and Toledo with a rent a car. 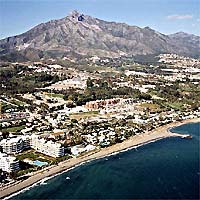 Combine Madrid, Toledo, Granada, Torremolinos, Ronda, Jerez, Sevilla, Cordoba and Madrid with a rent a car. Combine Madrid (featuring the Golden Triangle of Art, its famous nightlife and endless energy), Segovia, Salamanca, Lisbon (the capital of Portugal; set on the banks of the Tagus river with an ancient medieval fort at the heart of the city and charming neighborhoods with amazing food, shopping and quaint local festivals), Seville, Torremolinos, Granada (located in the foothills of the Sierra Nevada mountains. 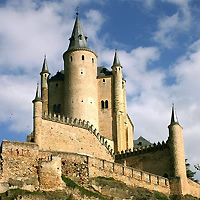 It`s known for grand examples of medieval architecture dating to the Moorish occupation, especially the impressive Alhambra), Toledo and finally again on Madrid on this once in a life time adventure using rental car services. This is a flexible vacation package. Select your number of nights in each city, desired hotels and activities. 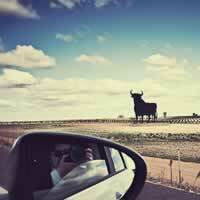 Combine Madrid, Segovia, Salamanca, Fatima, Lisbon, Seville, Torremolinos, Granada, Toledo and Madrid with a rent a car. You guys were great- we had a small issue and your staff dealt with it swiftly and professionally.